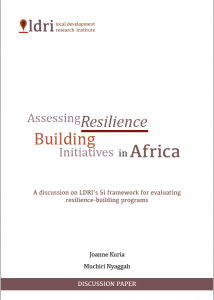 Resilience building has become a vital part of securing development gains in Africa over the last decade. The United Nations Office for Disaster Risk Reduction defines resilience as “The ability of a system, community or society exposed to hazards to resist, absorb, accommodate to and recover from the effects of a hazard in a timely and efficient manner, including through the preservation and restoration of its essential basic structures and functions“. As our understanding of the dynamic and multi-hazard nature of disasters on the continent deepens, so should our design of resilience programs or resilient programs. Click on the image to download the paper. Since late 2015, we have been exploring how resilience building programs can be evaluated to ensure they respond to the unique realities of communities. Although there are well established monitoring and evaluation frameworks in use by governments and non-state actors, we believe a more nuanced perspective is needed in order to address the design aspects of the program before implementation begins. The 5i framework is therefore a conceptual lens through which governments and non-state actors can pre-evaluate a program at the design stage. The 5i’s; Information, Interdependence, Insurance, Interventions and Investment address the key aspects of program design which may have long term existential impact on sustainable resilience building initiatives. 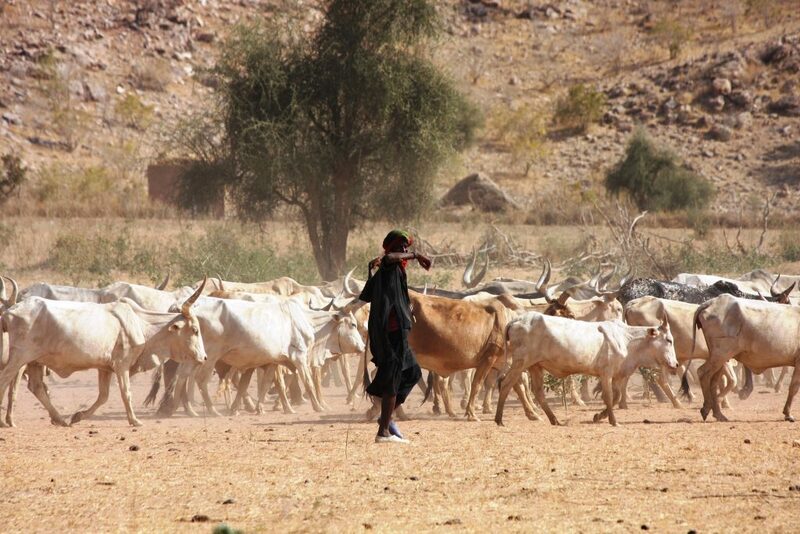 This paper aggregates the 5-part series of blog posts by Joanne Kuria and Muchiri Nyaggah with an additional essay on the agriculture sector aspects of resilience and disaster risk reduction in Africa by Joanne Kuria. Further work on the 5i framework will now focus on development of tools and capacity building of both state and non-state actors working on implementation of the Sendai Framework in Africa. Prev:Kenya’s Medium Term Plan as a Framework for Implementation of Agenda 2063 & the 2030 Agenda.